One owner custom Blumer Construction home in Brimhall Estates. One of a kind! All bedrooms are downstairs with extra living quarters on second floor. 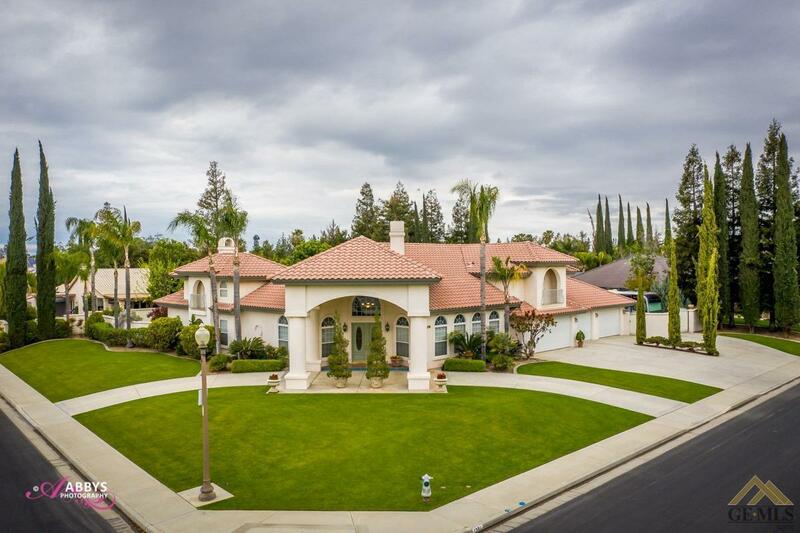 This home has 5 bedrooms, 5th bedroom used as an office, 4 baths, 4+ car garage allows for a 30-foot Boat Bay, custom rectangular lap pool and 20 x 45 RV pad with full hook ups. This elegant home features 20-22'' high ceilings, wheel chair access, pillared octagonal great room separated by a double-sided fireplace a formal dining and sitting area. Upgraded kitchen with granite counter tops, backsplash, counter seats 8-10, walk-in pantry and kitchen nook. There is a spacious indoor utility room with an abundance of storage space plus sink. European-Style master suite that includes a walk-in closet with built-ins & out of season storage, spiral staircase to loft- area with double French door access to balcony. The master bath is separated from master bedroom by double sided fireplace, double sink, soaking tub and separate oversized shower.